The number of small businesses investing in Facebook Ads is constantly growing. And many hire freelancers or agencies to create and devise marketing strategies for their businesses. Because who has time for metrics? And more and more business owners are taking it upon themselves to manage their own promotions. Wouldn’t it be great if a professional team could take care of all your social media needs from a content plan to Facebook Ads? Fill in this form if you want the PromoRepublic team to guide you to marketing greatness! 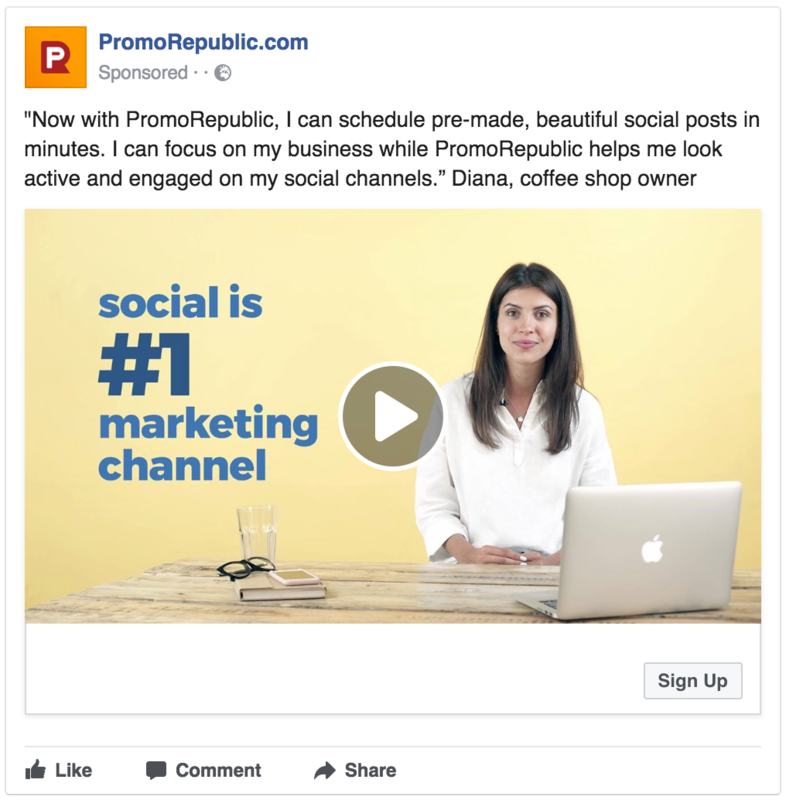 If you prefer to go it alone, let me help you with 7 examples of results-oriented Facebook ads you can use as models for your own business. Stock photos are available to every business – you may look “salesy”! Customized images increase the value of your brand and help your ad stand out in the crowd. With PromoRepublic’s Graphics Editor you can choose your background, banner, CTA button, and set an appropriate size for your Facebook ad. Because there are so many promotional ads flooding the newsfeeds, as a business you need to be on top of your marketing. If every week, you offer the same discount on the same day – you’re not offering anything new to the client. It’s the same ‘ol tricks of the trade and frankly you’re undermining your customers. If you want to get ready-to-go visuals and compelling copy for your offers, head on over to PromoRepublic’s Ideas and choose Promotions. Then tap on any template that you like and make it fit on your Facebook ad: you can delete extra text, add any background, and set Facebook ad size. It’s so easy, you will fall in love! Part of establishing brand identity means also having a face linked to your business. He/She represents your brand while ensuring your clients that you are indeed leaders in your field of expertise. Adding testimonials in the mix is proving your social worth. In your ad copy, testimonials are among the most effective ways to build trust and encourage potential customers to take action. Provide FREE content to warm up your audience. Content marketing is one of the most effective ways to differentiate your brand and a great way to allure potential business . Provide free valuable content that entertains, educates, and inspires your ideal customer. You could use videos, lead magnets (guides, checklists, coupons etc. ), or blog posts, for example. Ben Angel offered his audience, who are digital marketers, free converting email templates; because this is what they need. Understand your audience and offer them content that they would like to have and “free” is just a bonus! Then on your landing page, you can exchange your freebies for their emails or contact information. Email Marketing & FB Ads – Keep them Engaged! 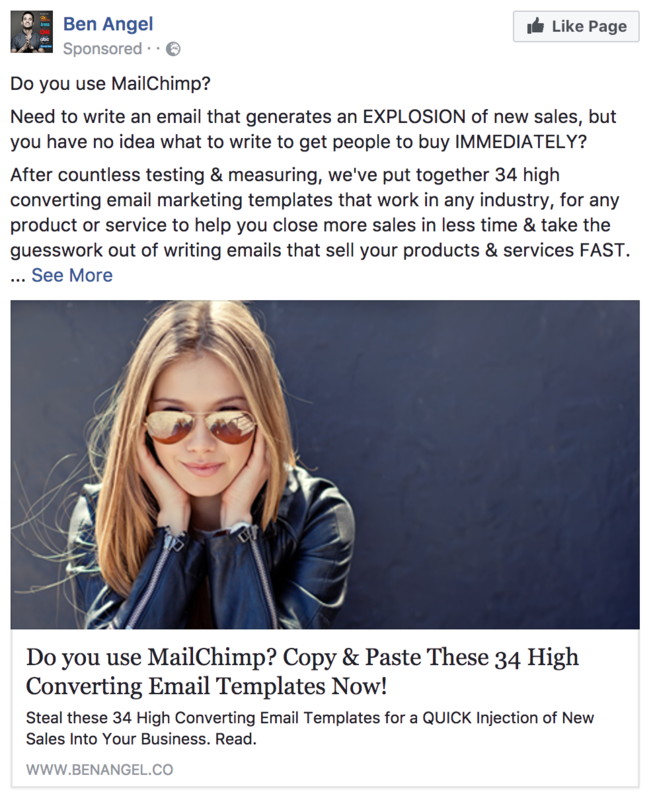 Create a double-whammy by delivering your message via both Facebook Ads and Email marketing. As they scroll through their Facebook page, they will remember the ad that they just opened in their inbox. 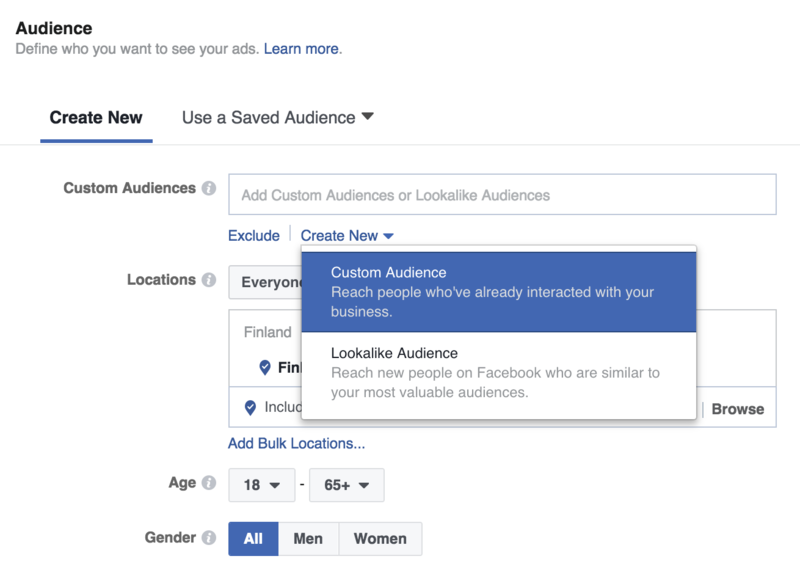 If you are new to Facebook ads, read my Beginner’s Guide to Facebook . Custom audiences can deliver some of the best results for retargeting campaigns because you’re targeting a loyal audience who already know, like, and trust your business. 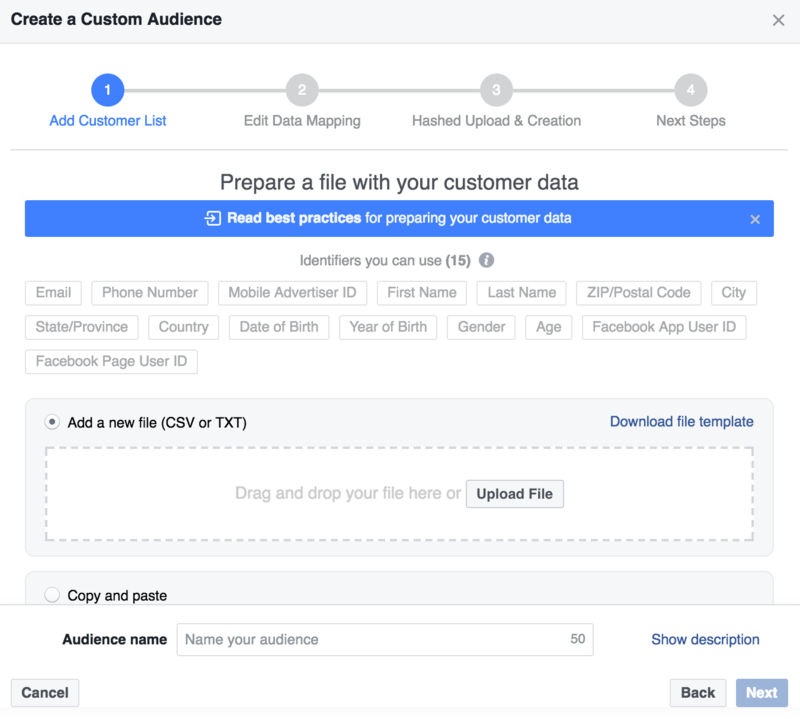 With the Customer File custom audience you can upload or import a data list and Facebook will cross-match the people on your list. 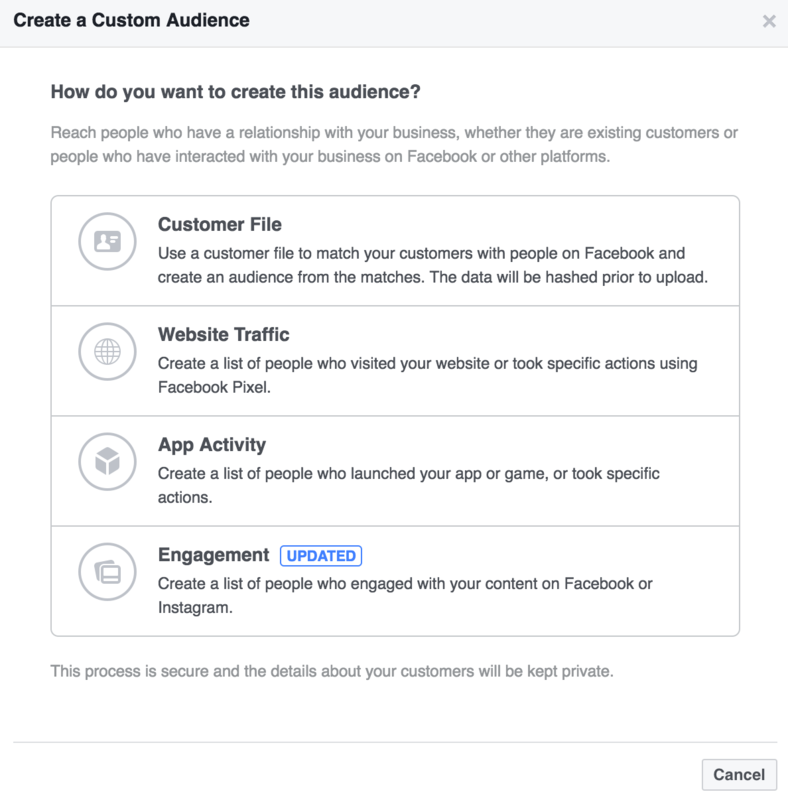 This custom audience is a game-changer if you have an existing customer or subscriber list because you can specifically target that audience with your Facebook ad campaigns. Now you can target people who already know about your brand and increase your chances to convert them into customers. 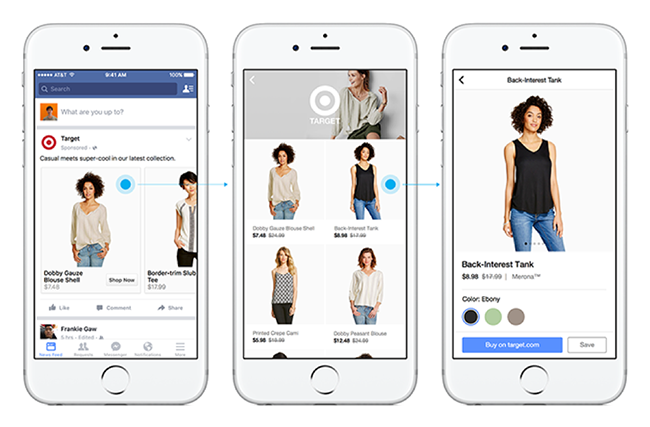 Canvas Ads are interactive and allow users to stay inside the Facebook app when they’re viewing product details. At first, it looks like a regular news feed post. When a user clicks it, a full page opens up to a full screen on mobile. Brands use videos, GIFs, photos and CTA buttons to create a sort of mini landing page for mobile, and users can navigate through the content within the Facebook app. It’s not news to you that consumer spending increases during Holidays but it is up to YOU to grab their attention in the clutter. Many are searching for gift ideas or shopping for themselves; this is the time to be strategic about your marketing. At PromoRepublic, we have a nifty calendar that showcases every single holiday you can imagine. It lists Trends, Historical Days, Sporting Events, and Celebrity News according to your industry. For example, if you are a Retail shop – you may want to celebrate National Customer Appreciation Day. Pretty cool, right? How inspired are you now? We’ve given you tons of ideas to create the best Facebook Ads ever! Remember that in an effective Facebook ad; the copy, visuals, and CTA need to represent your business and your brand in the most compelling way. When your three ad elements work together to present a consistent message; your Facebook ad will have a good chance at achieving the desired impact on your target audience.